We are delighted to announce that Dr Jane Monckton Smith, a director of the National stalking charity Protection Against Stalking and an expert in the field of homicide, stalking and coercive control, has won the 2017 Suzy Lamplugh National Safety ‘Taking Stalking Seriously’ Award. 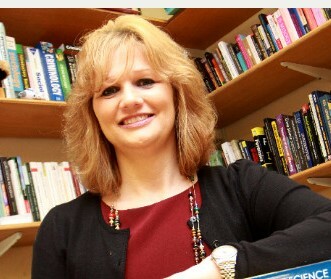 Jane is Senior Lecturer in Criminology at the University of Gloucestershire. She maintains a wide portfolio of professional activity including chairing Domestic Homicide Reviews and advising training professionals in recognising threat and risk. Jane will be speaking at the Protection Against Stalking Conference at The Stag Theatre in Sevenoaks on the morning of Wednesday 26th April, as part of National Stalking Awareness Week, discussing the prevalence of stalking, defining this hidden and insidious crime and understanding coercion and control. The other Nominations for the Suzy Lamplugh Taking Stalking Seriously Award were Chloe Hopkins, DCI Tim Rowlandson (Hampshire Constabulary) and Aurora New Dawn.